For our client Tutor House, we created the ‘Video Game Tutoring’ story that achieved brilliant PR campaign results. We work with Tutor House, London’s leading tutoring agency that offers private home tuition for all primary, GCSE, A-Level and university subjects. As we handle its PR on an ongoing basis, this includes creative PR to build links from high Domain Authority (DA) media sites – something we also call ‘PR for SEO’. We wanted to create a campaign that would grab attention, particularly from those who might want to hire a tutor or offer tutoring services through the platform. There’s a well-known argument that people learn better when doing something they enjoy and we thought it would be great to combine tutoring with something that people usually do for fun. 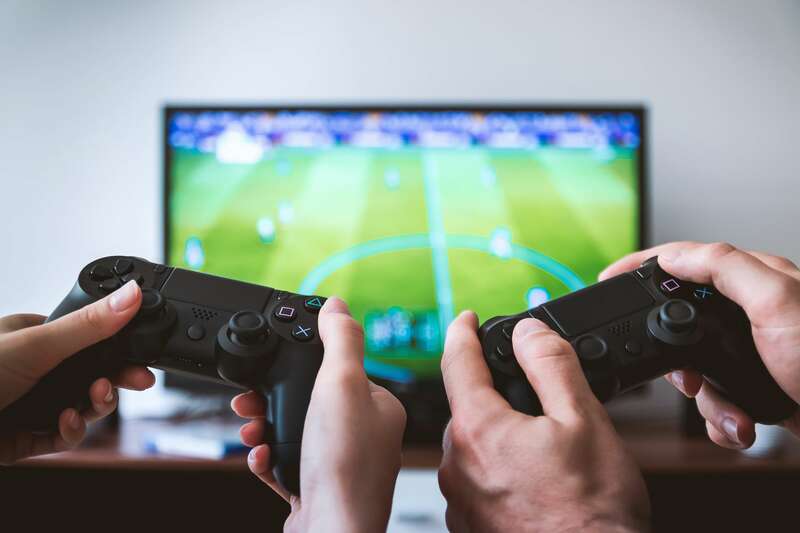 There are also tons of stories in the media about kids spending too much time playing video games – research has found that the amount of time 12 to 15 year olds spend playing games has increased from an average of 10.7 hours a week in 2013, to 12.2 hours in 2017. 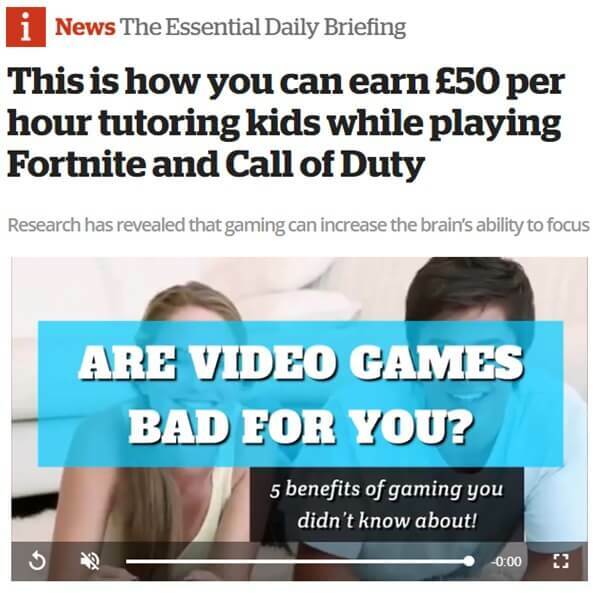 That’s how we came up with ‘Get paid to tutor while playing video games’, where we would enable tutors to teach students subjects like maths or English while playing on popular games like Fortnite, FIFA and Apex Legends – and students could learn while gaming. We crafted the story into a press release with a link to a blog on Tutor House’s site if people wanted to sign up to be a tutor that can offer tutoring while gaming. We then issued it widely to our targeted contacts. 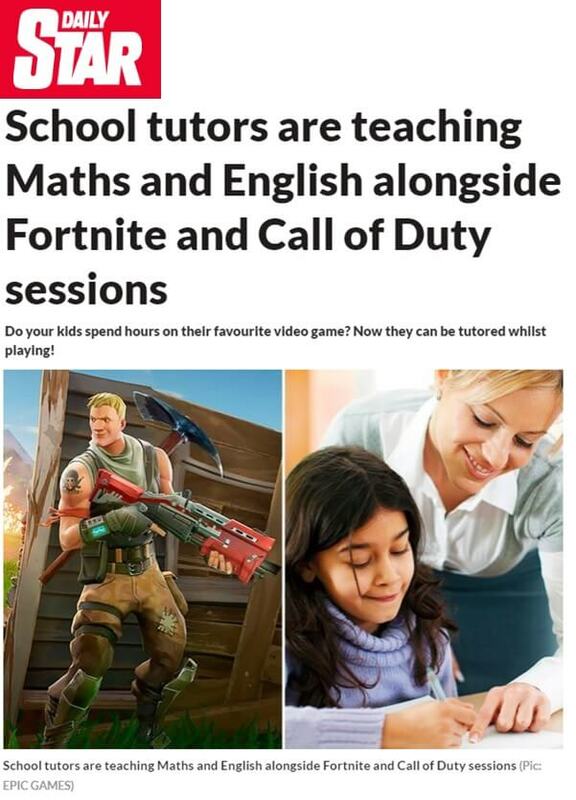 ‘Video Game Tutoring’ was a success and achieved brilliant PR campaign results. 132 pieces of coverage featuring the client including titles such as the The Metro, iNews and Daily Star. The coverage achieved 378 links to Tutor House’s website (the majority of coverage included three separate links to the website). The coverage was featured on media sites with a high DA – including Daily Star (91), The Metro (91), iNews (80), The Scotsman (80) and the Yorkshire Evening Post (74). We’d love to chat – so please get in touch!